A failure of homeostasis – the balance of essential physiological states – can mean disaster for an organism. If your body temperature falls too low or goes too high, you might experience hypothermia or heatstroke, which can both be life-threatening. If your body can't maintain its energy balance, you might develop obesity or diabetes. If the amount of calcium in your blood become too low or too high, you could develop hypocalcemia or hypercalcemia. And if water balance becomes a problem, you might become dehydrated or hyper-hydrated, both very dangerous when extreme. Normal human body temperature is about 98 degrees Fahrenheit. If your body's homeostasis gets in trouble, you might have a problem producing heat from the nutrients you take in or the outside environment might cause problems. If you're exposed to extreme cold, your body temperature could fall, leading to hypothermia. This can slow organ function, producing confusion and fatigue and, in serious cold for long periods, even death. 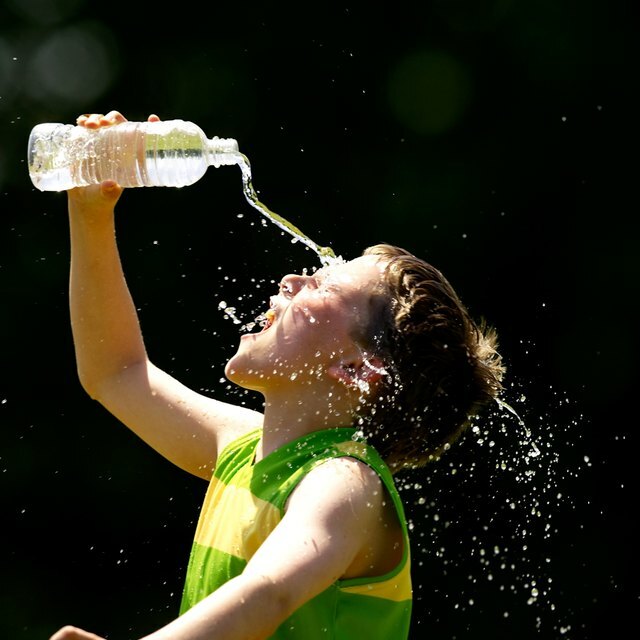 In extreme heat, your body might be unable to cool down, which could result in heatstroke. You might also feel muscle cramps and be exhausted. Eventually, in uncorrected, hyperthermia causes seizures, unconsciousness and eventual death. Hunger is the brain's way of getting you to eat food that your body can convert into energy. Your stomach releases the hormone ghrelin, which affects your brain and increases appetite. Another hormone called leptin that's produced by fat cells counters ghrelin, inducing a sense of satiety, or fullness. If the brain stops responding to ghrelin, you could feel perpetually hungry. In the absence of leptin, you might never feel satisfied from a meal. The result of either problem is overeating, which may result in obesity and, in uncorrected, diabetes. Calcium ions are crucial for proper nerve and muscle function. Your thyroid and parathyroid glands regulate blood calcium levels by their effect on of calcium homeostasis. The thyroid gland causes a decrease in blood calcium levels, while the parathyroid gland helps increase calcium in the blood. If calcium levels drop too low, this results in hypocalcemia, which can cause seizures, muscle spasms or an abnormal heart rhythm. But too much calcium in the blood isn’t good either. When this happens, you could experience nausea, vomiting, abdominal pain, constipation, weakness, confusion, excessive thirst or loss of appetite. Water balance is essential for proper functioning of nerves and many organs. The brain detects the amount of water in the blood and the kidney senses your blood pressure, which is determined to some degree by the volume of your blood. When water levels in the body are low, you can become dehydrated. If this happens, the brain induces thirst and signals the kidneys to retain more water. This helps prevent kidney damage, heat cramps, shock, coma and organ failure. However, you could also drink too much water, which leads to hyperhydration. It's paradoxical that hyperhydration also can cause thrist, which can make you drink even more water. This can inducee weakness, confusion, irritation and seizures. H., David. "What If Homeostasis Fails?" Sciencing, https://sciencing.com/homeostasis-fails-19395.html. 13 March 2018.